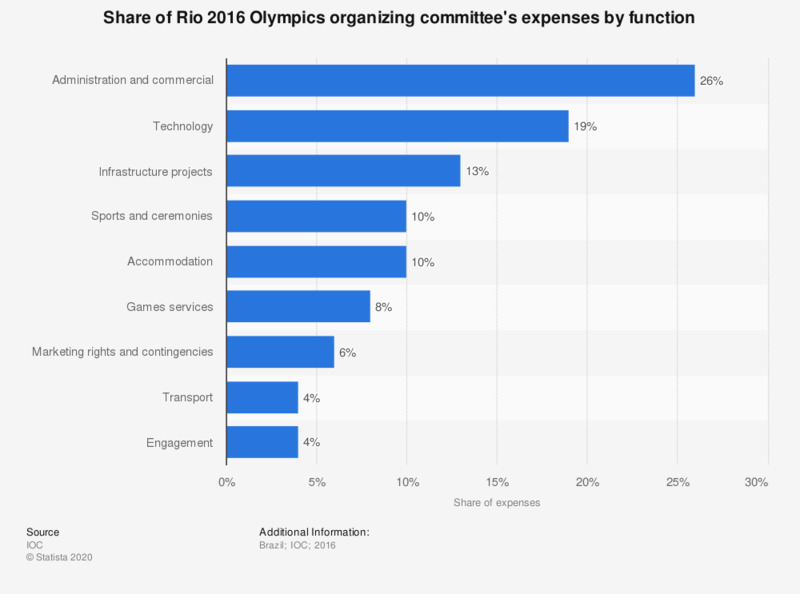 The statistic shows the share of the 2016 Rio Olympics organizing committee's expenses by function. 26 percent of the expenses is attributable to administration and commercial. Everything On "Rio 2016 Olympics" in One Document: Edited and Divided into Handy Chapters. Including Detailed References.